Police have announced the arrest of Janice Vargas-Cruz, a 40-year-old woman who is suspected of being the driver of the sedan that ran over and ultimately killed 93-year-old Milwood Hughes yesterday. 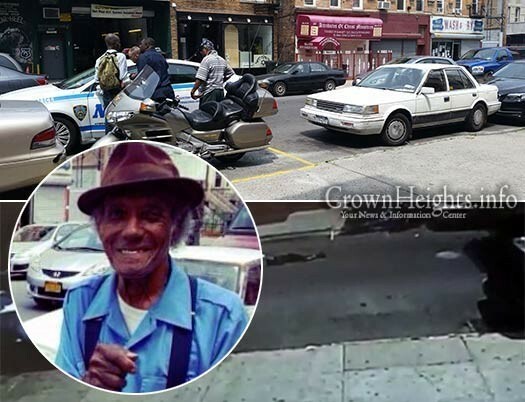 Mr. Hughes was struck by a tractor trailer as he was exiting his double parked vehicle on Albany Avenue in Crown Heights Tuesday morning. A second car, believed to have been driven by Ms. Vargas-Cruz, ran over the victim a second time and after getting out of her car and checking the victim she fled the scene. Police have charged her with leaving the scene of an accident that resulted in death. 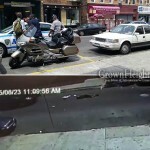 The crash was captured on surveillance video. Police are still searching for the driver of the tractor trailer, who may have not even noticed that he struck the victim. 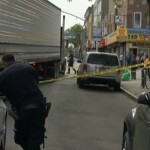 Man Run Over By Tractor-Trailer on Utica Ave.
She could be forgiven for accidentally hitting him, but how does she explain then backing over him as well? How did they catch the woman? The video does not show the license plate number. It’s possible that the driver in the vehicle behind hers provided her plate info to the cops. I’m his grand son and I was with him a few minutes after he was hit. He died about 4 hours later, he was talking to me when I arrived. I’m the last family member to speak to him. The Jewish community really helped and they where the ones to make sure that the police got these videos. In addition, a Jewish man had came to him first to give assistance, he didn’t want a wet ragged to be placed upon his face. In addition, the Jewish called their own ambulance which arrived in less than 2 minutes. They took us to the hospital and took care of me as well. There was no car behind her, she gave herself up the day after. We’ve forgiven her and will allow the city to charge her accordingly. Also, to insure that this doesn’t ever happen again, I would like to ask for assistance in getting a traffic light on Lincoln Rd. This will allow my son to cross this street safely. 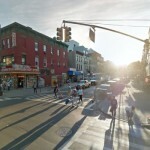 Also a speed bump between Lincoln and ST. John and another between Lincoln and Eastern Parkway this will prevent cars from speeding to catch the other light. I can not get Grampa back but I can ask for help in change for the future for the families of Albany Avenue.